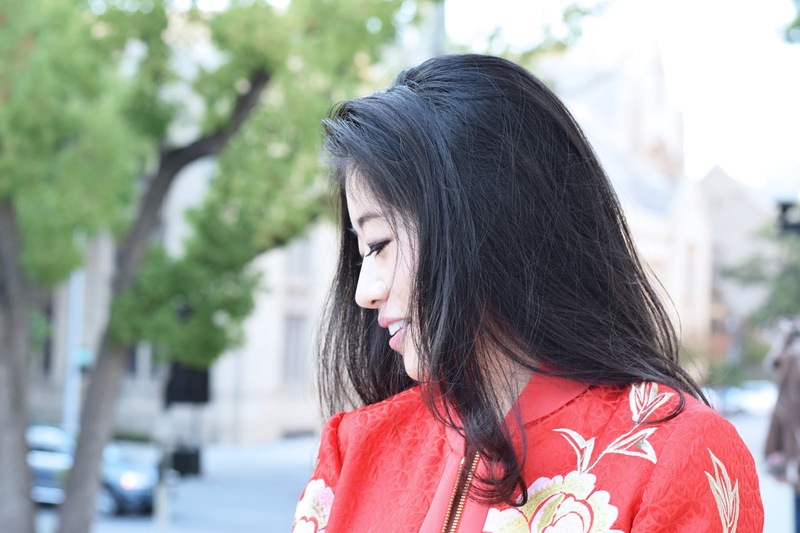 I spent much of my childhood years celebrating Chinese New Year dressed in a red and gold qípáo. Having since moved away from home, slipping into a traditional qípáo, though sleek, felt more impractical for casual gatherings. 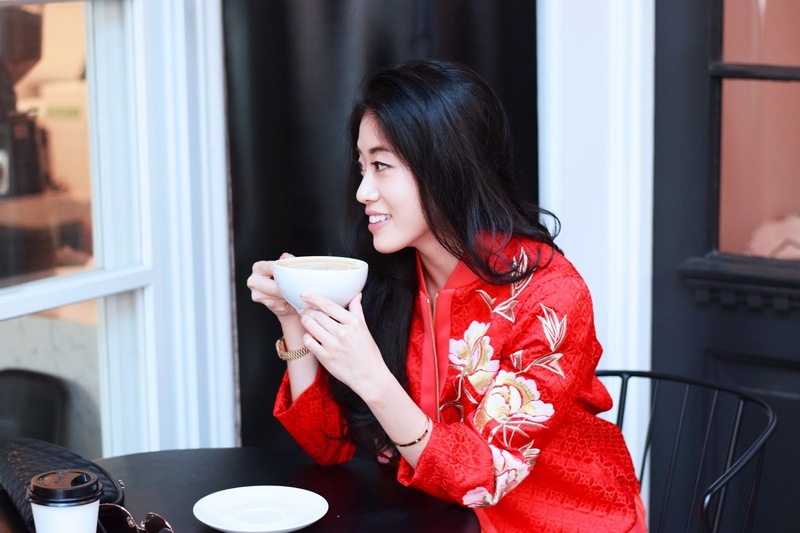 Though far from home, I hold Chinese New Year traditions close to my heart and throughout the year, hunt for modern pieces with red accents. This Ted Baker jacket in particular is to die for! A jacket so perfect, it could sit in your closet as a stand-alone piece of art. 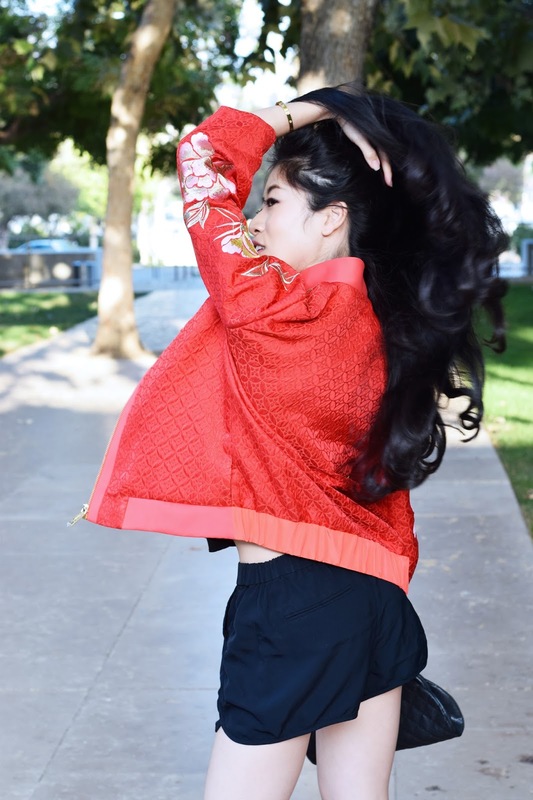 Reinvented with lux fabrications, detailed embroidery, and rich pops of color, this bomber incorporates elements found in traditional Chinese attire with a chic modern silhouette. Once an aviators staple jacket, the bomber has made it’s way into countless fashion houses and closets worldwide… and it seems to be a trend that’s here to stay. This timeless piece will pair with just about anything in your closet. I pieced this outfit together mixing textures and fabrications. Silky black loungewear juxtaposed with an intricate jacket was the perfect balance of yin and yang. 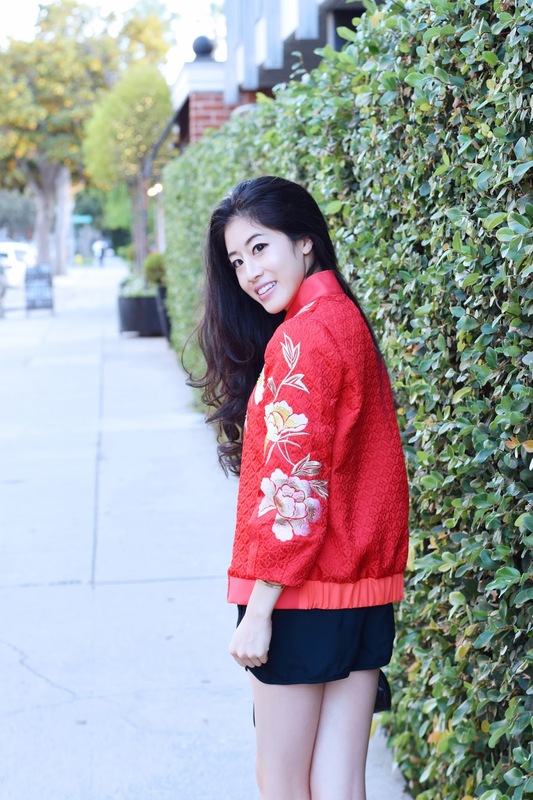 The jacket could have just as easily been dressed up or down - thrown over a chic dress for a night out or worn with jeans for a casual everyday look. Chinese New Years is coming up this week, hope you’re celebrating in style with some red, glitter, and a lux statement piece!